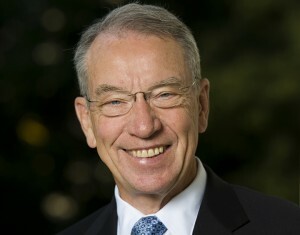 U.S. Sen. Chuck Grassley (R-IA), Chairman of the Judiciary Committee, is seeking answers from the Obama Administration on why it reportedly won’t disclose documents regarding the relationship between the Treasury Department and mortgage financing firms Fannie Mae and Freddie Mac that resulted in billions of dollars going to Treasury. News reports also suggest that the President has invoked executive privilege over some of the documents relating to the issue. Grassley based his letters on a New York Times report regarding the lack of transparency and assertions of executive privilege surrounding Fannie Mae and Freddie Mac’s arrangement with Treasury. Grassley writes that it is unclear whether the President himself asserted executive privilege to withhold documents and whether the Justice Department was authorized to do so. The news reports describe that the assertion of executive privilege is being used to withhold documents that by definition are public, such as news releases. Grassley’s letters ask a series of questions to acquire the details of the assertions of executive privilege and to gain insight into the Treasury agreement and how the earnings flow complies with statutory requirements on sound conservatorship of Fannie Mae and Freddie Mac. Grassley’s letters are available here and here. The New York Times piece that prompted his interest is available here.